Health and safety obviously make up a huge part of a good quality construction project. In the UK, the Construction (Design and Management) Regulations 2015 (or the CDM as people casually refer to) is currently the basis for protecting construction professionals while working in the construction sites. The CDM 2015 came into force on April 6th, 2015 and covers the management of health, safety and welfare when carrying out building projects in the UK. It replaced the Construction (Design and Management) Regulations 2007 and withdrew the Approved Code of Practice that supported the CDM 2007. Organisations or individuals can perform the role of more than one “dutyholder”, provided they have the knowledge, experience, skills and (if an organisation), the organisational capability necessary to carry out those roles that secure health and safety. Commercial clients are organisations or individuals for whom building projects are carried out wherein the building projects are done resulting from a business. Clients are the ones who make arrangements in managing a project. They are responsible for assigning other shareholders accordingly and make sure that sufficient time and resources are allocated for the project. They prepare pertinent information and provide accordingly to the correct shareholders. Clients make sure that their principal designers and principal contractors perform their tasks. They are expected to provide welfare facilities. Domestic clients are people who do construction work in their own home or the home of a family business that is not part of a business contract. Their client duties are transferred to the contractor for single contractor projects or to the principal contractor for projects having more than one contractor. Domestic clients have the option to have a written agreement with the principal designer to carry out the client duties. Designers can be organisations or individuals who, as part of a business, prepare or alter designs for construction projects, products or systems related to construction work. During planning or modifying a project, designers eliminate, reduce, or control foreseeable risks that may arise during the construction process. They also maintain the building or facility once they are built. Designers are also responsible for disseminating information to other members of the construction team to help them achieve their building tasks. These designers are appointed by the client in projects that involve more than one contractor. Usually, they can be an organisation or an individual skilled to carry out the role. They plan and monitor and manage pre-construction health and safety phase of a project. Included in that role are identifying, eliminating and controlling preventable risks and ensuring that designers carry out their tasks. It’s usually the principal designers who liaise with the principal contractor to help in planning, management and monitoring during the construction phase. Principal contractors are appointed by the client to coordinate the project’s construction phase where the situation involves more than one contractor. They prepare the construction phase plan and liaise with both the client and the principal designer. They are in charge of organising collaboration between different contractors. They make sure that correct site inductions are provided, correct measures are observed to prevent unauthorised access, workers are consulted and engaged in their own health and safety, and that the welfare facilities are available. Contractors are the ones who carry out the actual construction work and can be a company or an individual. They plan and manage construction works that fall under their control and make sure they are carried out without risks to health and safety. Workers or subcontractors work under the control of contractors on a jobsite. They are usually consulted on matters that affect their health, safety and welfare. They are required to report anything on the construction site that would most likely endanger the health and safety of anyone on the jobsite. They are obliged to cooperate with their employer and other shareholders especially in executing their jobs that could involve health and safety issues. There are various ISO management systems but the ones best suited to the construction industry include ISO 9001 for Quality Management, ISO 14001 for Environmental Management and OHSAS 18001 for Health and Safety. All these ISO standards follow the “plan-do-check-act” principle that helps reduce errors and improve processes. 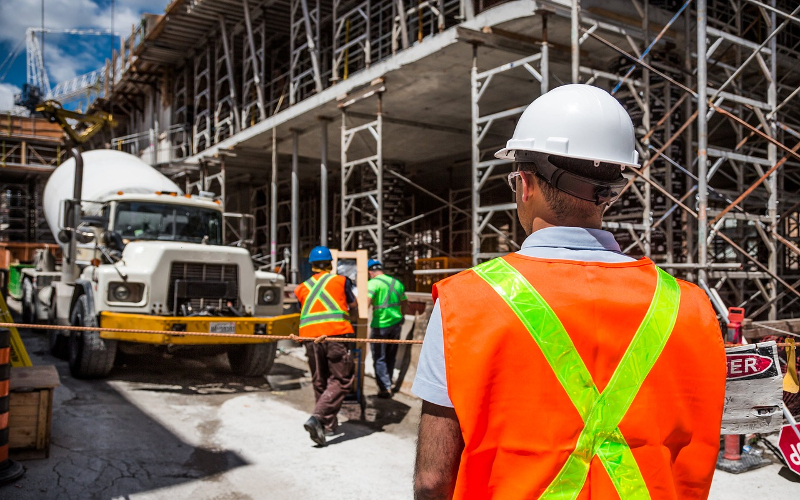 Subcontractors are a big part of the construction team with many construction companies hugely relying on them for a lot of subtasks and processes. ISO 9001 standard allows for quality management of subcontractors’ work performance. It ensures appropriate controls and processes in place to efficiently deliver projects. The standard also requires procedures to regularly monitor approved supplier lists. Construction firms usually do not have comprehensive and certified environmental management systems. ISO 14001 standard allows formalised procedures for managing and reducing environmental impacts and the implementation of an environmental management systems (EMS) within construction firms. Many companies and organisations implement an Occupational Health and Safety Management SYstem (OHSMS) as an important part of their risk management strategy to address legislations and to protect their workers and other people working under their control. OHSAS 18001 standard enables firms and companies to manage operational health and safety risks and improve performance. The UK construction, despite its decline the past month, is still continuously growing especially with infrastructure investments. In addition to time and cost overruns, quality, health, safety and environmental checks are the current top concerns when it comes to UK construction projects. To learn more how you can reduce errors, improve processes and ensure you deliver quality projects on time, download this ebook for more details. For related UK construction industry articles, check this article on UK construction growth or read this blog post on UK’s BIM Level 2 mandate.